Edna Eunice Cupp, 94, Caldwell, died Friday, September 7, 2018. Edna was born February 18, 1924 in North Platte, Nebraska to Noah C. Johnston and Hazel B. (Owen)Johnston. She was the first of eight children, three brothers and four sisters. In 1936, Edna’s family moved to Weiser, Idaho. While the others returned to Nebraska, Edna stayed in Idaho and married Jack Washington. They made homes in Stibnite, ID and John Day, Oregon, but later divorced. Caldwell, Idaho became her new home when she married the love of her life, Wesley (Bud) Cupp in 1965. Edna was preceded in death by husband Bud, her parents, brother Ralph and wife Edith, brother Leonard and wife Mable, sister-in-law Helen (Ed), brothers-in-law, Floyd Brittenham, and Leslie Wolf. She is survived by sisters, June Wolf, Maxine Brittenham, Beverly (Duane) Befort, Patricia (Ed) Weichel, and brother Edward Johnston. Edna is survived by her loving sons, Larry (Sharon) and Ted (Jackie) Cupp and their families. She was a proud and loving grandmother and great-grandmother with 5 grandchildren and 6 great-grandchildren. 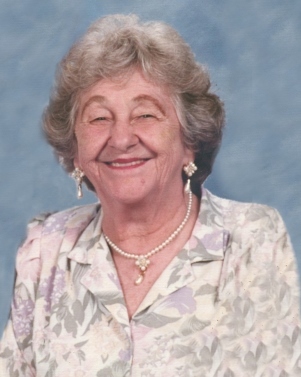 Edna was known for her kind, positive, loving spirit with a mischievous nature and wit that all enjoyed. Edna pledged Beta Sigma Phi in the fall of 1964. She was a Life Member and at her passing was a Member if Xi Master Torch Bearer Chapter, Caldwell. “May the Lord watch between me and thee while we are absent, one from the other”. (That is the Mizpah and was said at the close of each of our functions). She held all offices many times and was chapter Valentine Queen and Girl of the Year several times. She always had a smile and a twinkle in her eye. She will be greatly missed.